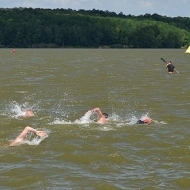 On June 23, the sprint distance Deseda Q30 was organized at the Deseda lake near Kaposvár. 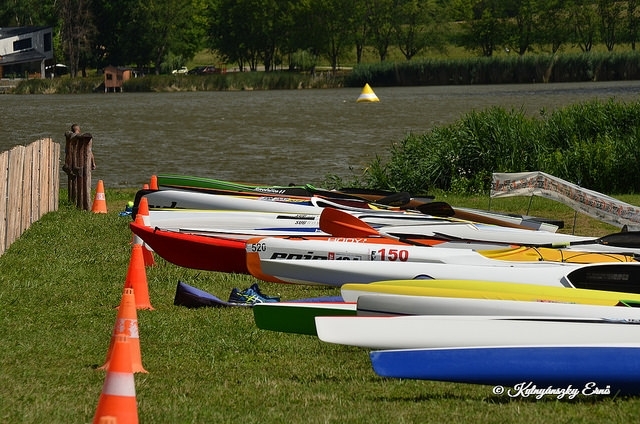 The race was part of the Quadrathlon World Cup and of the Quadrathlon Hungarian Cup. 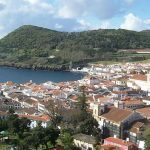 The young competitors showed excellent performance as they occupied four podium places from the possible six in the absolute qualification. The location changed slightly compared to last year because the strand beach was refurbished so the racing center had to be positioned across the dam. The change of location did not affect the excellent level of organization. Attila Péter and his team provided the starters again excellent conditions. The cold front on the day before the race brought a strong north wind and lots of rain. Fortunately, rain finished on Saturday, but the strong north wind remained. 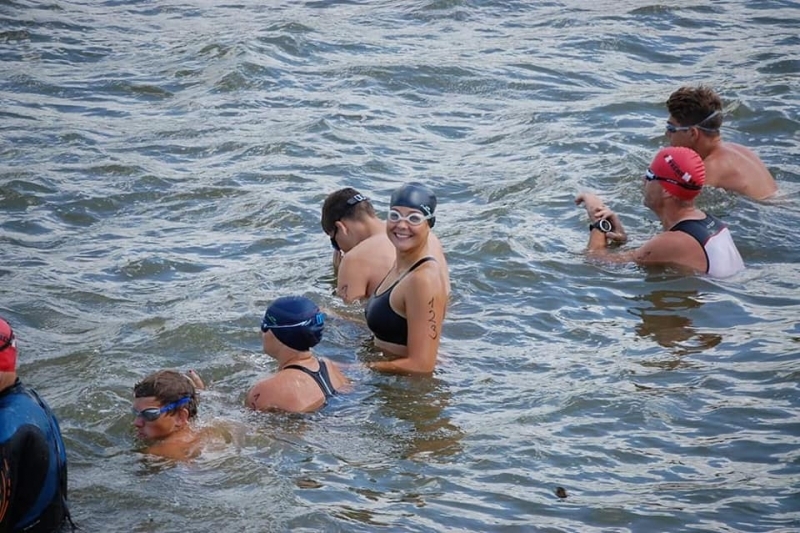 At the time of the start, the temperature of the water was 20 degrees, so the use of neoprene was allowed. 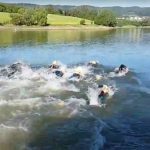 Many did not expect this after the weather of the previous days when the temperature of the water was about 25 degrees. 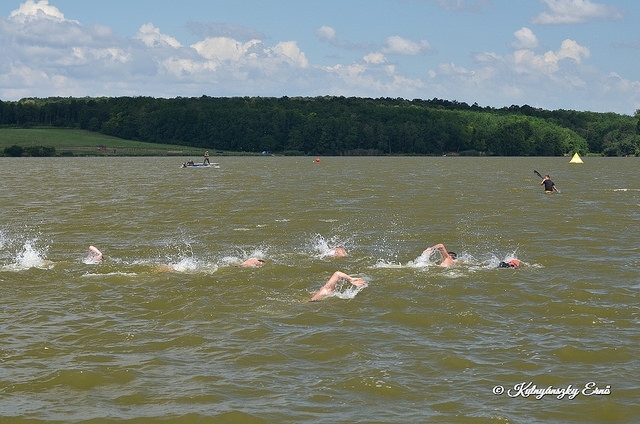 In the wavy water, the fastest times in 750 meters distance were around 12 minutes. 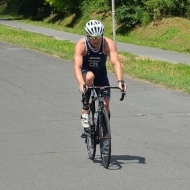 In the mens race Ferenc Csima led the group, followed by Tibor Lőrincz, Leos Rousavy and Bence Tapaszti half minute behind. 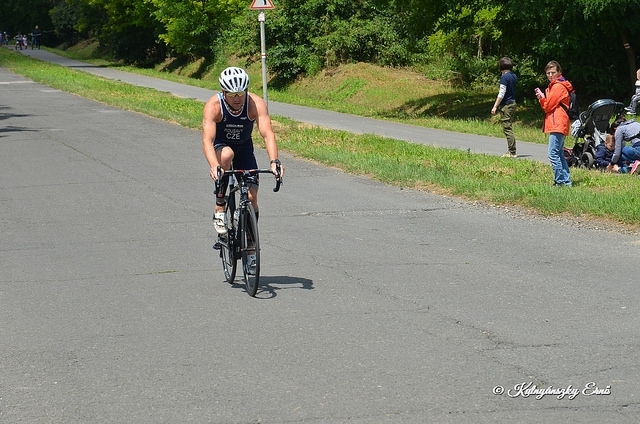 At 20 km of 2-lap bicycle track, Csima increased its advantage, Rousavy caught up and overtakes Lőrincz. 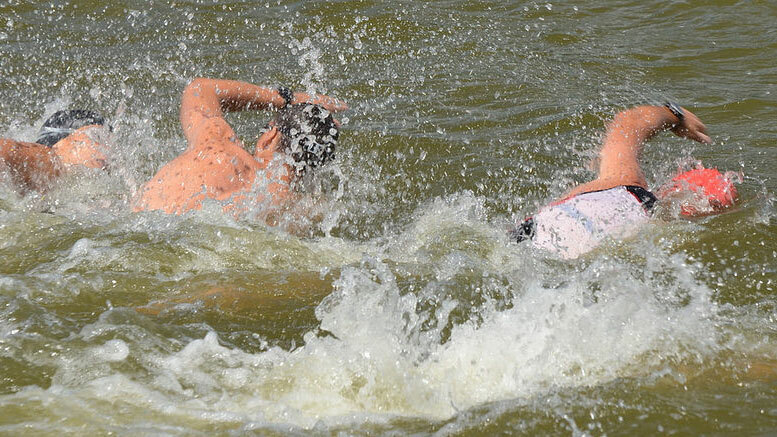 The 4.5-km 2-lap kayak track – due to the strong wind and the wavy water – was not an easy task for anyone. 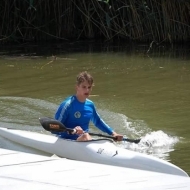 Lőrincz took second place again, Tapaszti came to third place, and Rousavy fell back to fourth place in kayak. 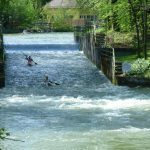 During the run, nothing was compromised by Csima’s first and Lőrincz’s second place, but for the third place there was a hard competition between Tapaszti and Rousavy. Rousavy made the best run time and tried everything, but the only 16-year-old Tapaszti performed excellent run as well and he was able to maintain his podium position. The women’s race brought great competition. After swimming, there were four ladies within 15 seconds. The two U19 Kata Balázs and Petra Spingár, Csilla Sápi and Pálmafy Mariann started cycling almost at the same time, where Sápi managed to gain a 2-minute advantage, and the two youngsters followed her head-to-head. In the kayaking, the situation has changed rapidly. 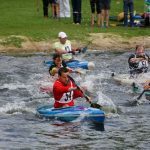 The experienced kayaker Balázs and Spingár quickly caught up Sápi, and Balázs was able to built up a one and a half minutes advantage. There was no change in the first two places during the running, but Lilla Pernczki could run up to the third place. 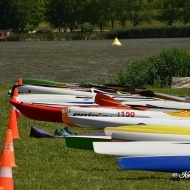 The next round of the Hungarian Cup will take place on July 22 in Tolna, where a middle distance race will be organised. 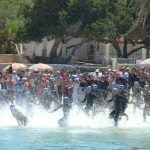 Be the first to comment on "Great performance of young competitors at Deseda Quadrathlon"